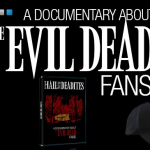 During the month of October, Hail to the Deadites will release a new teaser every Thursday, at 5pm, Eastern time, leading to the release of a new full-length trailer on October 31st. 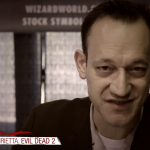 Here’s the first one, featuring Ted Raimi! HAIL TO THE DEADITES TO RELEASE NEW TEASER EVERY WEEK OF OCTOBER! Sep 4, 2015 // News, On "set"
The Punk music group from Montreal decided to make a song about us ! We think it’s Groovy ! HorrorHound 2014 photo album ! Mar 24, 2014 // News, On "set"
Indiegogo : Tom Sullivan stuff just arrived ! Our Indiegogo founders will be happy to see that Tom Sullivan’s amazing stuff as arrived !! 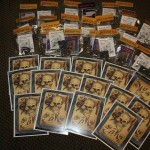 Indiegogo : Danny Hicks prints are here ! 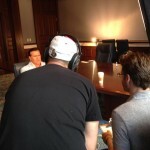 Looks like some indiegogo funders will be happy to see this ! First Hail to the Deadites banner has arrived ! 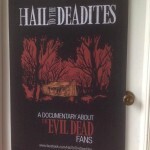 The first banner of Hail to the Deadites just arrived in time for HorrorHound Week-end ! Knock knock who’s there ? 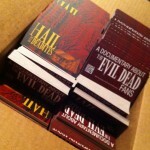 Oh it’s the business card size flyers of Hail to the Deadites. And look at this, it comes with a QR code so people can be redirected to our groovy Facebook page !! 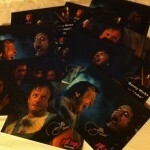 And the most amazing thing about it, we got them just in time for HorrorHound ! 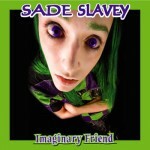 Created by Alkalime. Experts in Web / Design / Videography.